Dr. Sannar is one of the first dentists in Yuba City, CA to offer this revolutionary, minimally invasive treatment for gum recession. Gum recession & exposed roots not only makes your smile appear older, it creates causes painful sensitivity to temperatures and sweets. Yuba City dentist, Dr. Sannar uses minimally invasive microsurgical techniques to perform breakthrough gum recession treatment and gum grafts. 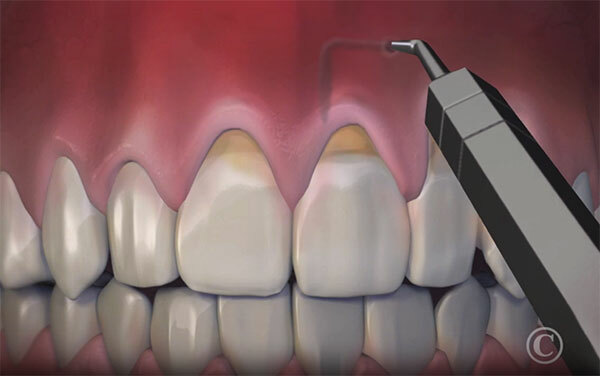 While traditional gum grafting (soft tissue grafting), may still be necessary for some patients, Dr. Sannar recommends the use of this minimally invasive technique whenever possible. The affected teeth are cleaned and prepared and the gum tissue is numbed with a local anesthetic. A small entry point is made in the gum above the tooth or teeth to be treated. Dr. Sannar uses a specialized dental instrument to free the outer layer of gum tissue and gently move it down to provide better coverage for the teeth. Dr. Sannar can correct up to 14 teeth at once in one to two hours. There is little to no post-operative discomfort.